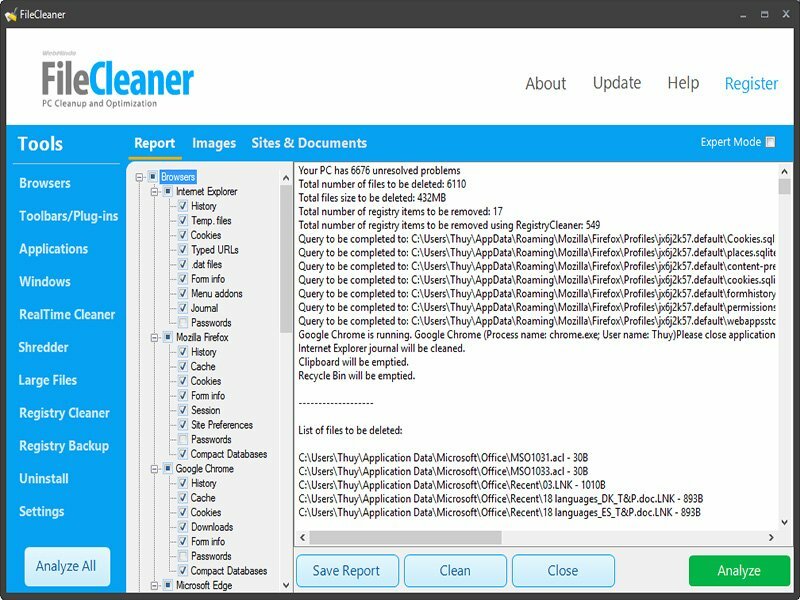 FileCleaner is an advanced and easy to use computer speed-up and privacy protection tool. With its help you will be able to delete all your Internet history tracks in one click and make your PC fast and secure. FileCleaner will clean up your browsers, help you delete toolbars, and let you uninstall programs in one click. Plus it has a file shredder to protect your data and a real-time cleaner to automatically maintain your PC.